In this podcast The Outer Dark presents ‘Patternmaster: The Legacy of Octavia Butler’, a panel from Blacktasticon 2018 moderated by Sheree Renée Thomas and featuring Valjeanne Jeffers, Kenesha Williams, Linda D Addison, John Jennings, and Troy L. Wiggins, plus a The Outer Dark Symposium 2019 update. The panel was recorded live at Georgia Tech Student Center in Atlanta, Ga., on Saturday June 16, 2018. Find out more and listen here. 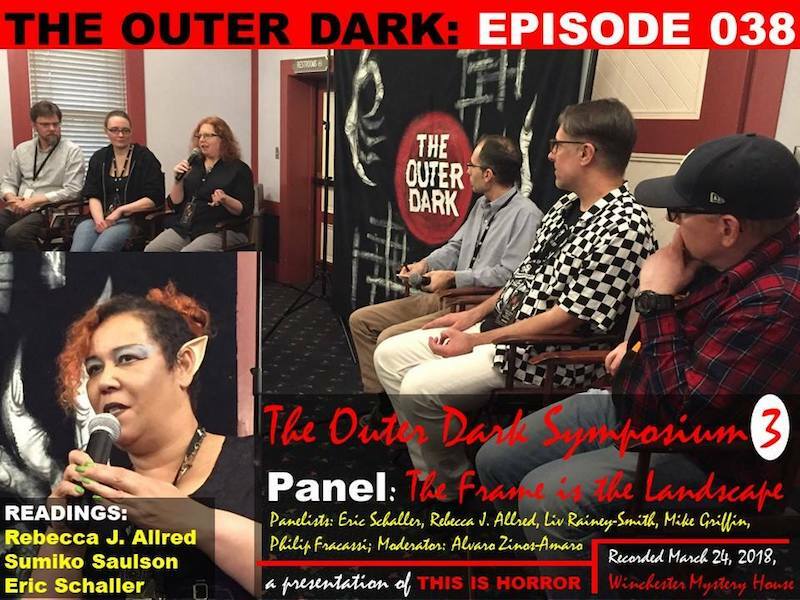 In this podcast The Outer Dark presents the ‘Black Women in Speculative Fiction’ panel from Blacktasticon2018 featuring Sheree Renée Thomas, Valjeanne Jeffers, Kenesha Williams, Linda D Addison, Nicole Givens Kurtz, Violette L. Meier, Susana Morris, Letitia Carelock, and Christine Taylor-Butler, plus an exclusive interview and special presentation with Linda D. Addison and The Outer Dark Symposium 2019 update. The panel and presentation were recorded live at Georgia Tech Student Center in Atlanta, Ga., on Saturday June 16, 2018. Find out more and listen here. 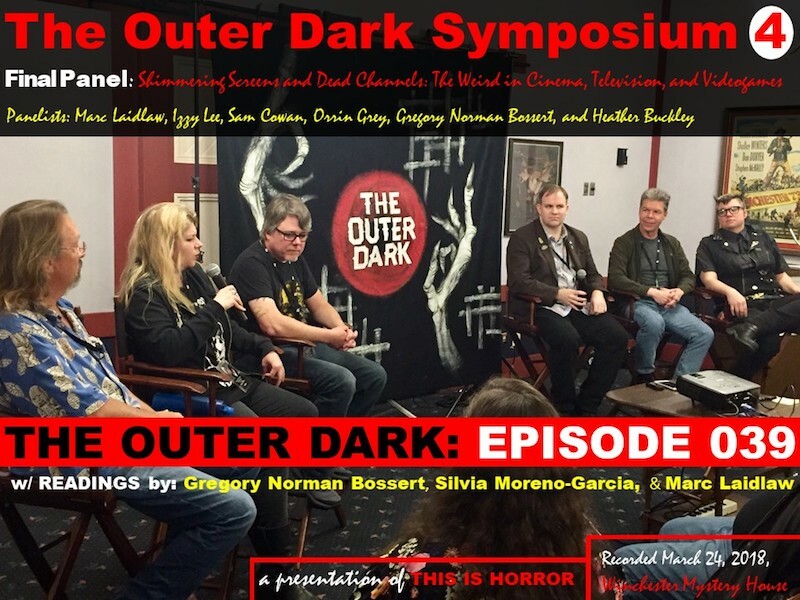 In this podcast The Outer Dark presents the fourth installment of The Outer Dark Symposium on the Greater Weird 2018 including ‘Shimmering Screens and Dead Channels‘ panel, moderated by Orrin Greyand featuring Gregory Norman Bossert, Heather Buckley, Sam Cowan, Marc Laidlaw, and Izzy Lee, plus Readings by Gregory Norman Bossert, Silvia Moreno-Garcia and Marc Laidlaw and special guest Shane Morton announces the location of The Outer Dark Symposium 2019. These segments were recorded live on Saturday March 24 at the Winchester Mystery House in San Jose, California. Find out more and listen here. 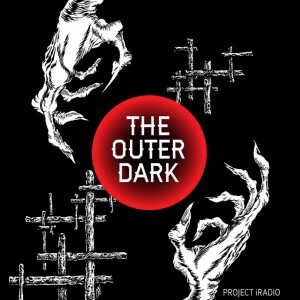 In this podcast The Outer Dark presents the third installment of The Outer Dark Symposium on the Greater Weird 2018 including ‘The Frame is the Landscape’ panel, moderated by Alvaro Zinos-Amaro and featuring Philip Fracassi, Rebecca J Allred, Michael Griffin, Liv Rainey-Smith, Eric Schaller, plus Readings by Eric Schaller, Rebecca J. Allred and Sumiko Saulson. 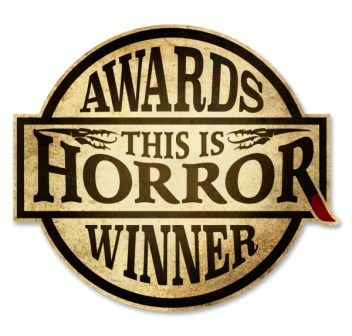 These segments were recorded live on Saturday March 24 at the Winchester Mystery House in San Jose, California. Find out more and listen here. 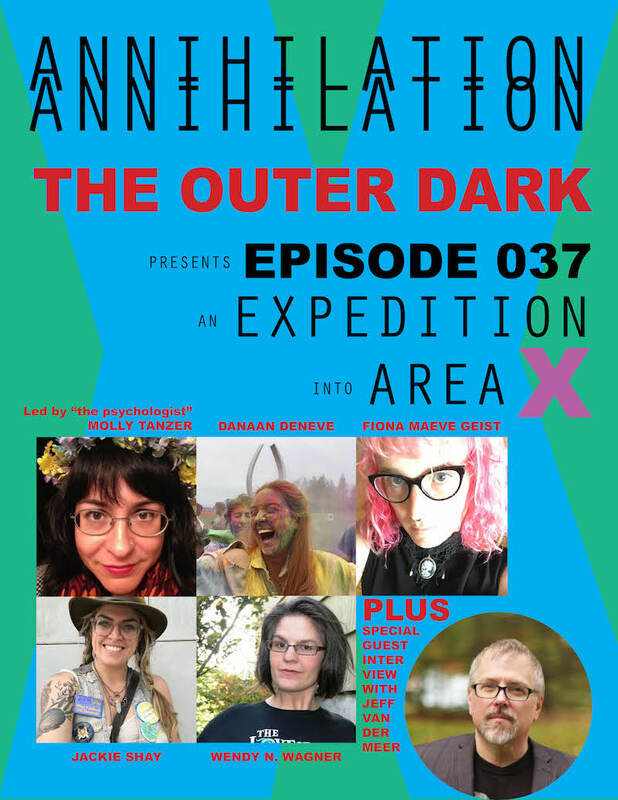 In this podcast The Outer Dark presents an all-female expedition to Area X to explore the movie and novel of Annihilation led by Molly Tanzer and featuring Danaan DeNeve, Fiona Maeve Geist, Jackie Shay, and Wendy N. Wagner. 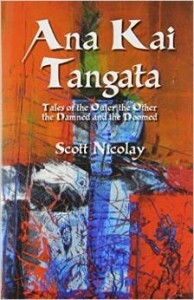 Plus a special guest interview with author Jeff VanderMeer. Find out more and listen here.